NEW YORK -- Republican presidential candidate Donald Trump's children may be among their father's most loyal cheerleaders. But only one of his three oldest children will be able to vote for him in next Tuesday's Republican primary in New York. 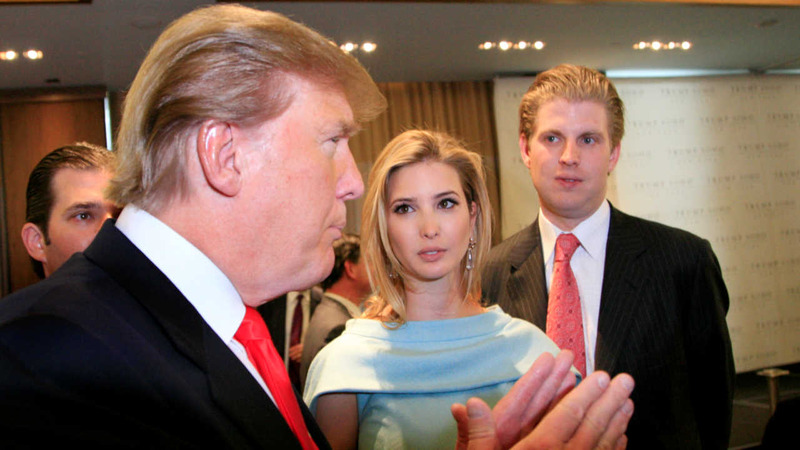 New York City voter registration records show that neither Ivanka Trump nor her brother Eric Trump registered with the Republican Party in time to cast their ballots for their father under the state's arcane voting rules. "They had a long time register and they were, you know, unaware of the rules, and they didn't, they didn't register in time, so they feel very, very guilty," Trump said in a phone interview with 'Fox and Friends' on Monday morning. "But it's fine. I mean I understand that. I think they have to register a year in advance and they didn't. So Eric and Ivanka I guess won't be voting," he said. While all of Trump's children have appeared by his side on the campaign trail, Ivanka in particular has played a prominent role, introducing her father at rallies and serving as a key adviser. She also recorded a video explaining to Iowa voters how to find their caucus sites and how to vote. Trump's eldest son, Donald Jr. is a registered Republican, according to state records. Trump's youngest daughter, Tiffany, is registered as a Republican in Philadelphia, where she's a student at the University of Pennsylvania, according to Pennsylvania state department records. While many states make it easy for voters to participate in their primaries, New York's voter laws set October of 2015 as the deadline to switch party registration in order to participate in the state's 2016 party primaries. That means anyone who wanted to change their party enrollment in time to vote in the presidential primaries would have had to do so by that date. Enrollment changes submitted after that date won't take effect until the first Tuesday after the 2016 general election next November.